Oiled bronze appliances by Jenn-Air. 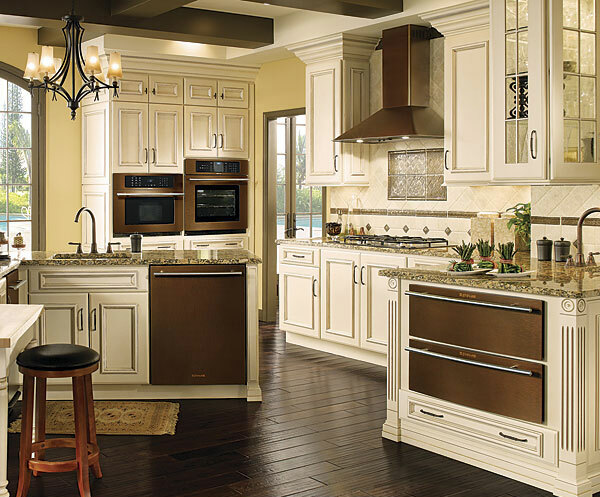 Jenn-Air offers wall ovens, refrigerators, dishwashers, microwaves, warming drawers, and chimney hoods in oiled bronze (issue #97, p. 30). Visit jennair.com for details.